Do you rock? I know I do! I have two wicker rockers on my porch and one in my living room! I definitely rock! Look at this great stamp and coordinating designer paper that Stampin’ Up! has in the annual catalog. How cheerful is this card?! 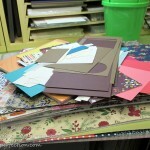 This card was made from scraps in my very organized scrap paper folders! I definitely found a system that is working for me. You know how it is…you have to experiment to see what works for you. The fun shape the whisper white is cut into is from the Party Pennants Bigz Die using the Big Shot. I love this die. I did a pretty tag a few days ago experimenting with the coaster board. The Bigz Dies cut any material that you can cut with scissors. Imagine the fun things you can make with this great shape! 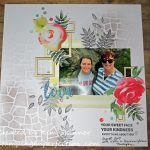 The bright paper is aptly named “Sweet Taffy” and the stamp that coordinates is called You Rock. This is a single stamp. Here I chose to stamp it in one fabulous color: tempting turquoise! 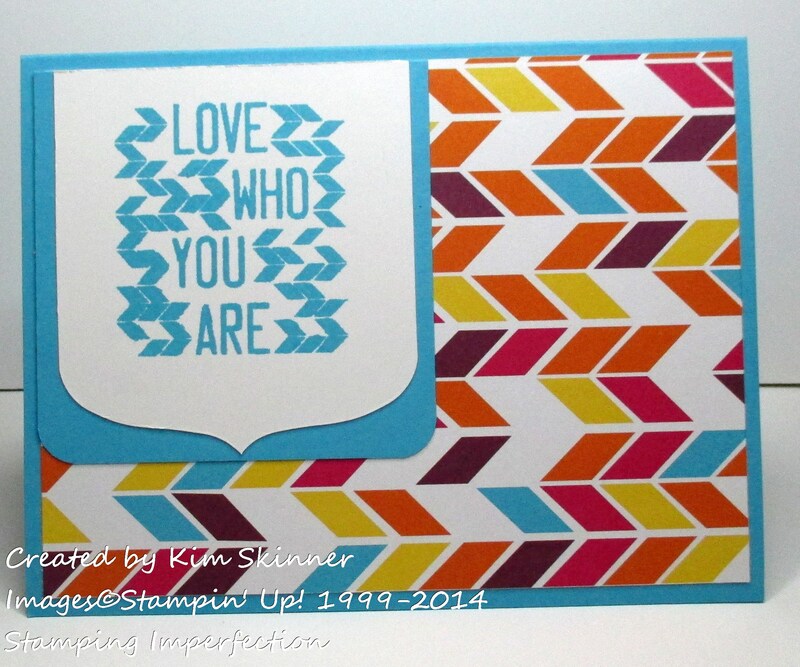 I thought the designer paper added enough fun color, so I kept the stamped image simple. The card is super quick and easy! The Tempting Turquoise mat is cut to fit evenly around the whisper white pennant cut by the bigz die. How quick and easy is that?! Don’t forget to use the scraps that you save. 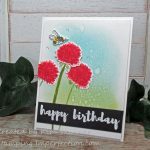 Challenge yourself to see what great card you can make just using the scraps that you have leftover! 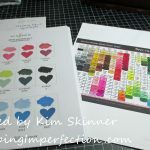 If you need supplies, you can order them online at mystampingstore.com! I’ve been busy taking a Physics class at Manhattan College. I can’t imagine that I will ever stop taking classes of some kind or another! I’ve been taking all kinds of classes this summer and having a great time! For those of you who placed an order recently, I will send you your Blendabilities class this weekend when I get home. For some reason, I can receive emails but I can’t seem to send them. I apologize for the delay! Have a wonderful day and remember that you rock!